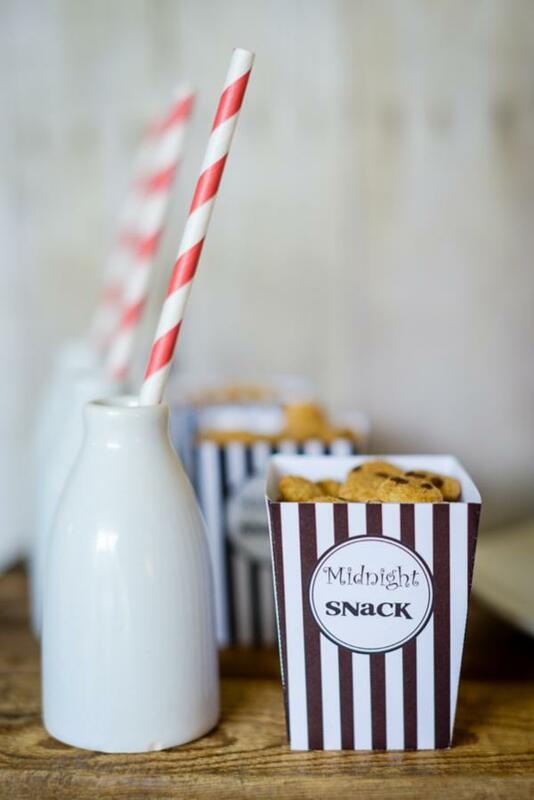 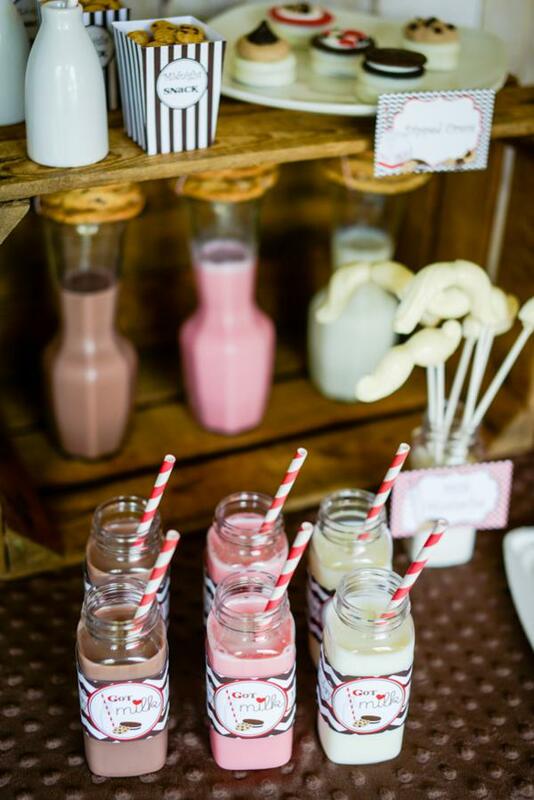 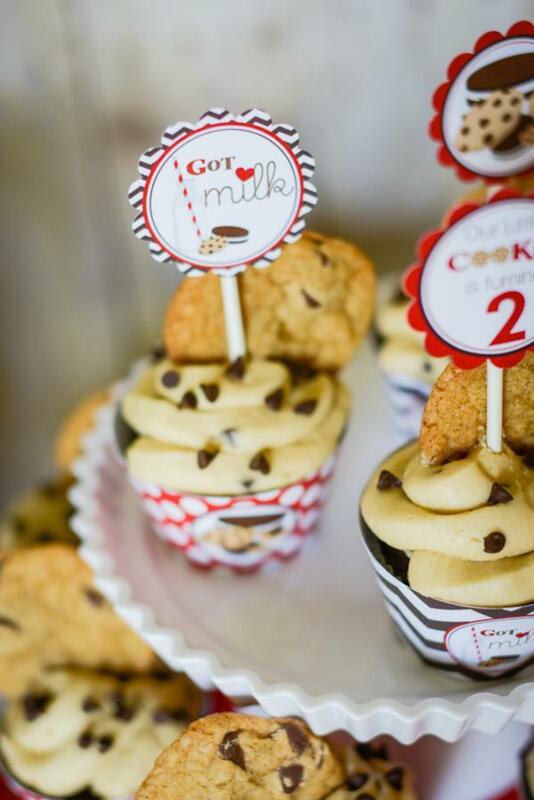 This charming MILK & COOKIES SECOND BIRTHDAY PARTY was submitted by Elizabeth Sprague of Lemonberry Moon. 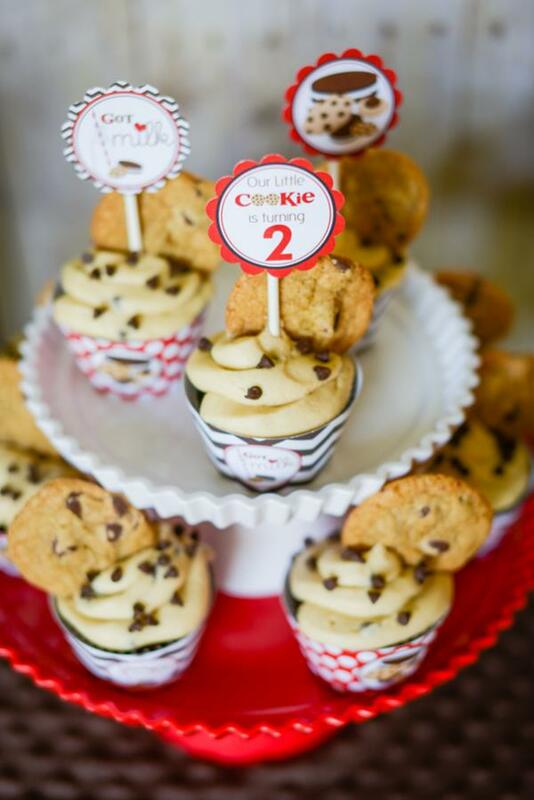 – “The hardest part about this party was not eating it all before I photographed it! 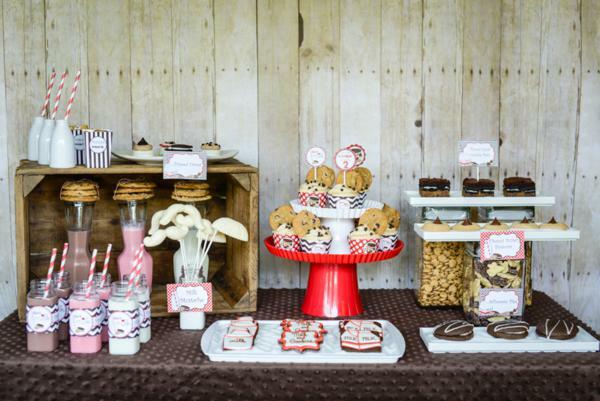 Forever Your Prints‘ label set was the perfect starting point for the table design. 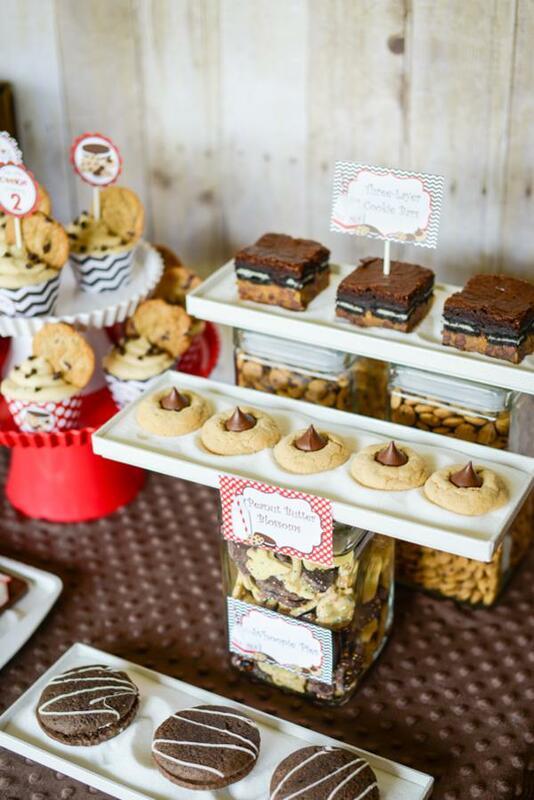 Chocolate chip cookies, whoopie pies and peanut butter blossoms (all featured in the labels) were baked and displayed throughout the table. 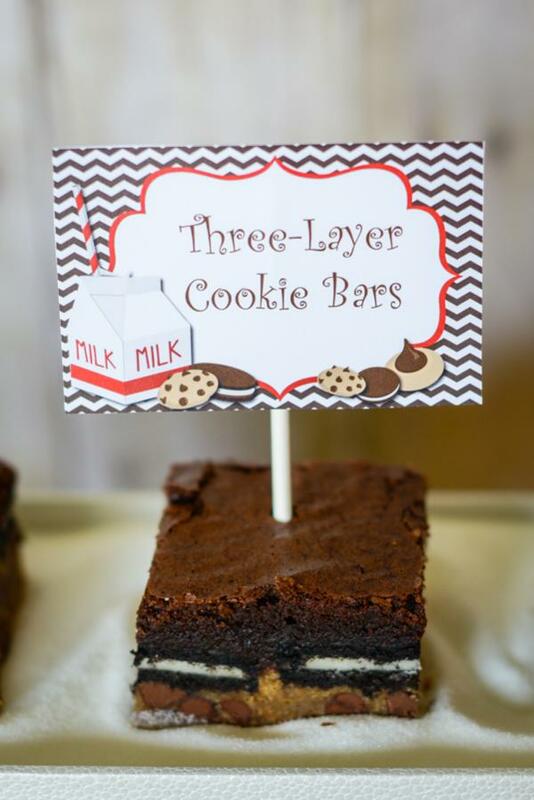 My favorite treat had to be the three layer cookie bars though, check out how I took them even further here. 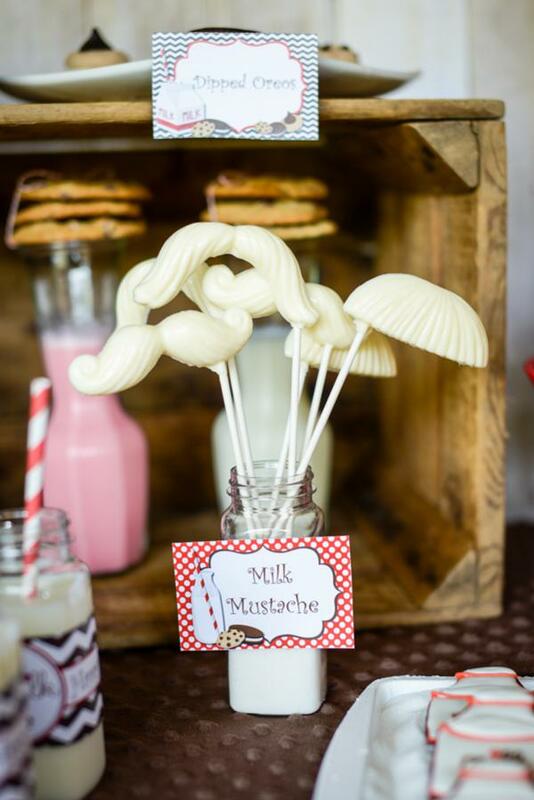 I also made white chocolate “milk mustaches” to put next to the milk buffet offering up chocolate, strawberry and white milk. 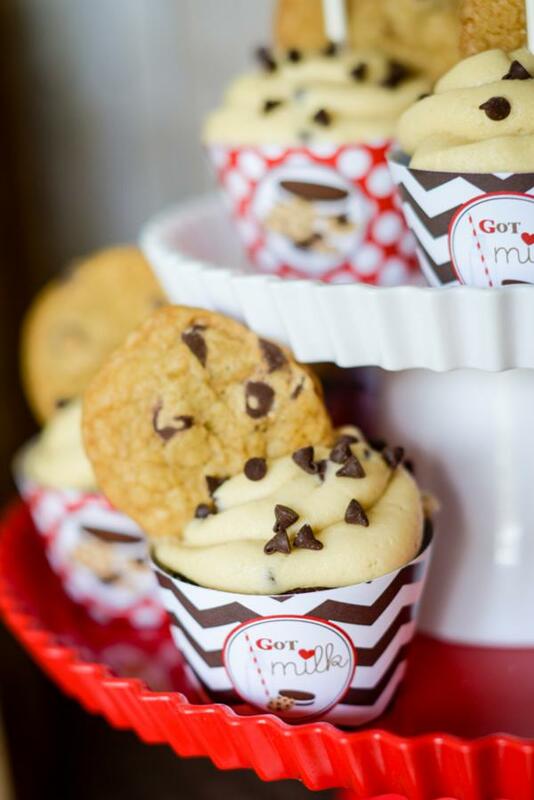 Cupcakes were chocolate and topped with a cookie dough frosting and a homemade chocolate chip cookie. 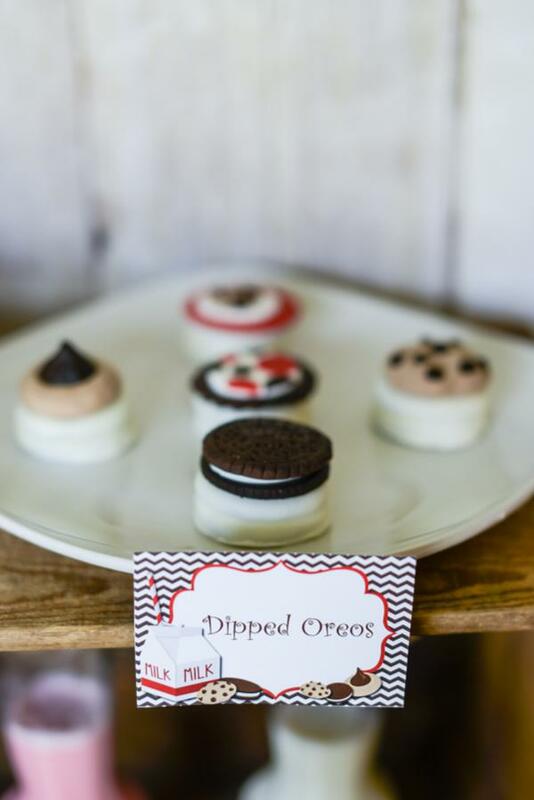 Dipped Oreos were topped with adorable fondant toppers from Rachel at Fondant Flinger right down to the “Yum”on the Oreo! 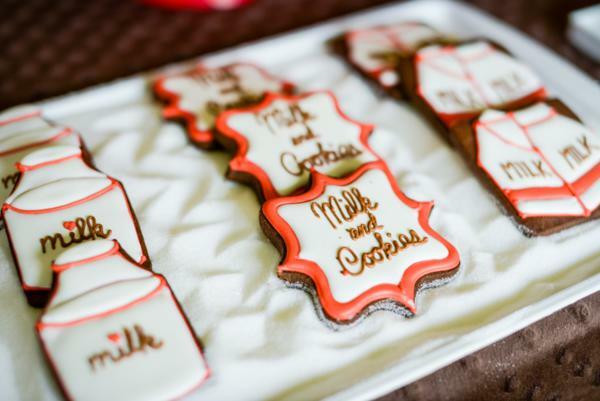 The amazing decorated cookies were provided by Katie’s Creative Baking and tasted just as delicious as they look! 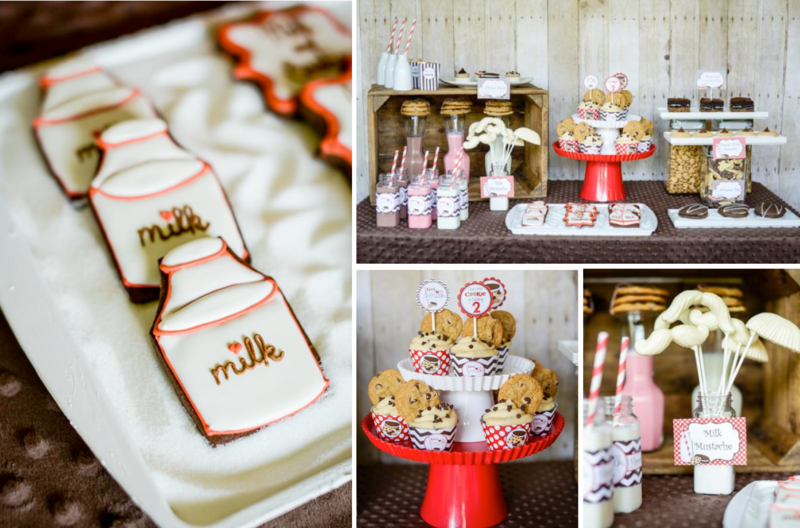 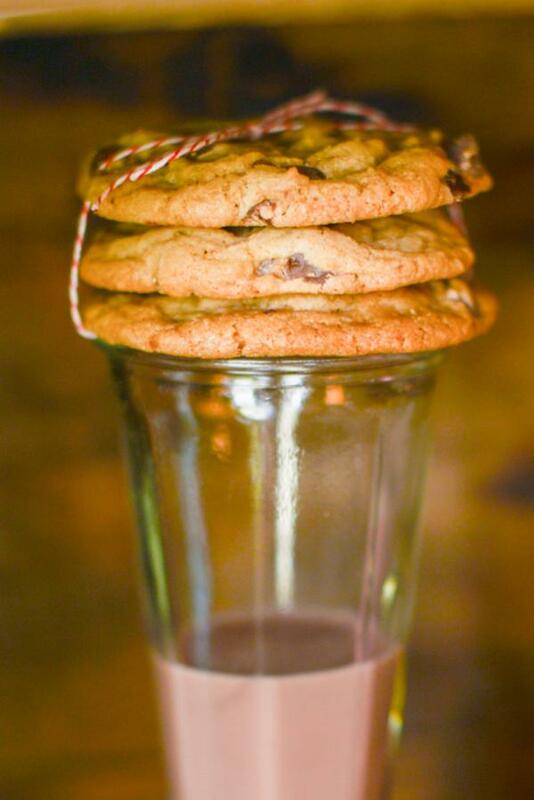 I love the Milk and Cookies theme, and here its done simply and beautifully.